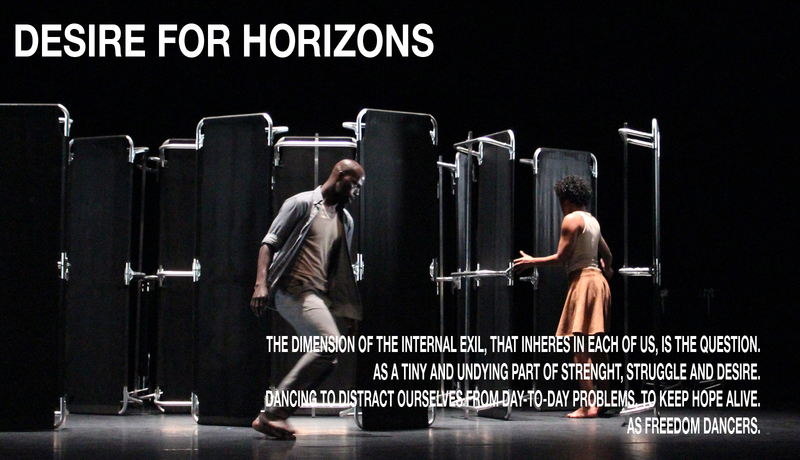 With Du Désir d’horizons, Salia Sanou picks up on his favorite themes. Namely loneliness and otherness, the individual and the collective but also the question of territory, uprooting, exile and borders. Limbo / A tribute to Samuel Beckett ». A new show drawing from dance workshops he conducts in Burundi and Burkina Faso refugee camps, with the support of the African Artists for Development Fund. According to Salia Sanou, Du Désir d’horizons is not a show about refugee camps, strictly speaking. It doesn’t have anything to do with a testimony or a documentary. It’s really more a composition with a choreographic vocabulary giving way to understanding and reflecting on the delicate situation facing refugees that echoes in us all. Horizon is the future, a vanishing line, an open space. Therefore, Salia Sanou provides us with the performance of dancers. He calls us to examine the dimension of internal exile that everyone carries in itself, as an tiny and undying part of strength, struggle and desire. This entry was posted in Now, Shows by stephane. Bookmark the permalink.